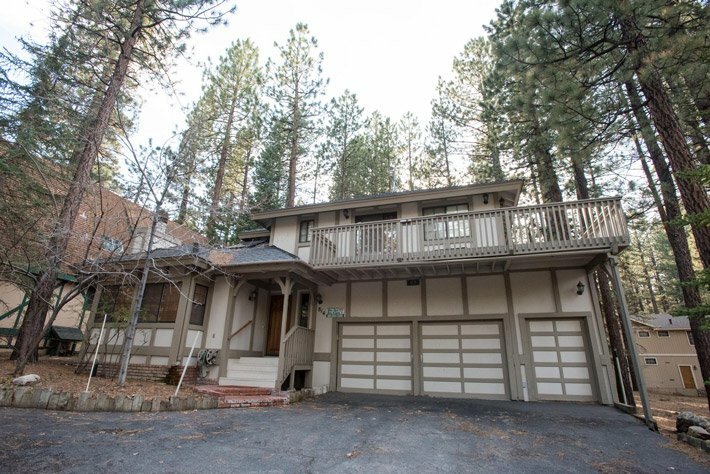 Very spacious home, 3 bedrooms, 3 1/2 baths, can walk to Snow Summit Ski Resort. 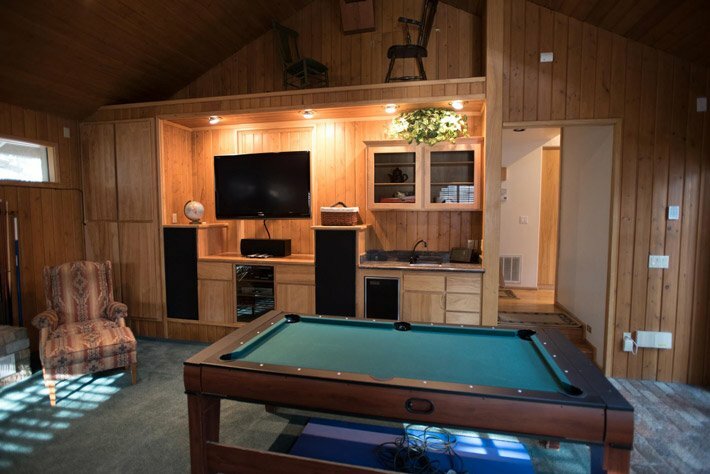 Large, indoor 10 by 10 foot jacuzzi, includes a huge game room with two TVs and a pool table, air hockey and ping pong. There is a separate private living room with a sleep sofa that can be used as fourth bedroom. Wood burning fireplaces in game and living rooms. 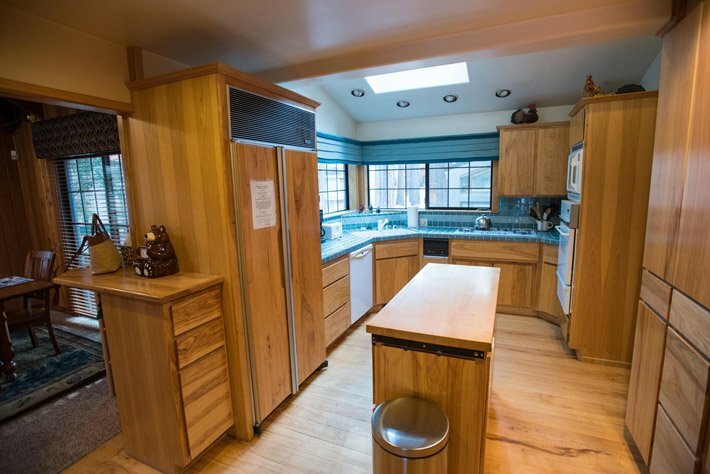 Very nice kitchen and separate dining room. The three upstairs bedrooms include one king bed, two queen beds and a bunk bed with a trundle underneath. Sleeps 16.